If you are in need of applications you can use to record the activities of your android phone, this post will help you. Reasons may arise why you need to record your screen, may be you want to prepare a very short tutorial for your friends or family and you are not close to each other you can just download any of the following applications to help you achieve it. There are other apps out there free and paid to help you do this but I just came out with these. Note that If you are using or still running on android 4.4, it will be required you root your phone for this app to work. If you can use it. Rec. is a beautiful screen recording app, providing untethered, flexible and fully configurable screen recording capabilities for your Android device; neatly packaged into an intuitive user interface. No need to be tied to your computer while recording. Longer screen recording, with Audio – record for up to 1 hour. Audio recording via the mic. A beautiful user interface – no more messing with the command line/terminal. Save your favourite configurations as Pre-sets. Customisable countdown timer so that you can get your screen recording set-up perfectly. Shake your device, or simply switch your screen off, to stop your recording early. Turn off notifications in your Super user app to prevent the notifications from appearing in the beginning of your recordings. Switch the Size width/height values to flip the recording orientation. Tap the Size label to get your device’s native resolution. Use notification bar or floating window to take a one-click screenshot. Stitch Images: Smartly combine several images into one. Blur Image: Pixelate the image to cover areas you do not want to show. Crop Image: Keep only the part of the image you want. Easily check recorded videos via floating window and notification bar. Share your videos and screenshots to video sites and social sites. Share your recorded videos with friends! Modify video titles on local video page for better management. This app is featured on Google Play Home Page, Android Police, Yahoo News, CNET, Android Central, Droid-Life and more. AZ screen recorder lets you record your screen to HD and Full HD videos and it is the only screencast app in the Android market that can be paused and resumed while recording. Magic button: a button that controls your recording without showing anything on the screen. Thus, your video viewers will solely focus on the app, the game or whatever you want to screencast. Countdown timer: is there something you have to prepare before recording don’t worry, the countdown timer will wait until you are ready to start and snap at the moment you want. 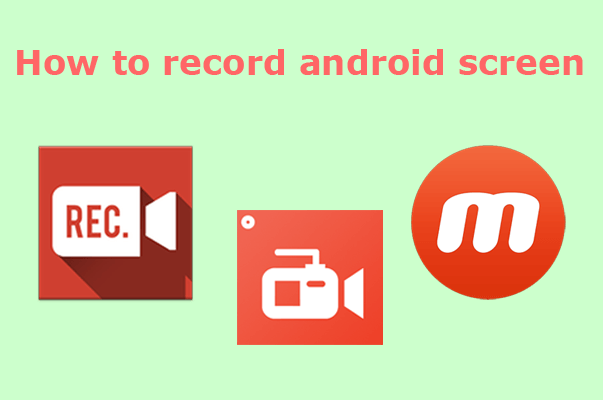 Download the most easy to use screen recorder Mobizen now and create your first, amazing video. Mobizen is the most easy-to-use, convenient screen recorder that allows you to record, capture and edit. Clear Screen Recording in FULL HD! You can record long videos without worrying while saving on External Memory (SD Card)! (Trim, Cut, Images, etc.) Raise the quality of your video with a Variety of Video Editing Features! Put in your favourite BGM and an Intro & Outro Video to make a personalized video! Record a clean screen Without a Watermark with Clean Recording Mode! Choose from different resolutions, frames per second and bitrate for the best choice of quality and size of the video or make use of the app shortcut in android 7.1 nougat or in any custom launcher supporting app shortcuts. There are no ads or any price attached to it. ScreenCam is the best lightweight and functional screen recorder available on the market. You can also pause or resume the recording seamlessly (currently only works on version of Android Nougat 7.0 and above) and an option to change the save directory. Conclusion: I will go for the Rec Screen recording app because it works well for me without issues, you can check the video i recorded with it on the widget area with out issues. It’s necessary they display ads, but you can turn off internet connection if not needed when recording. This will help you bypass the ads. Feel free to share your opinion in the comment section below.